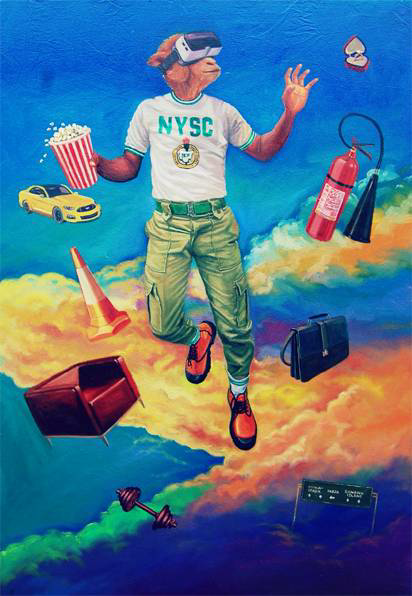 An NYSC 2017 “batch B” member, Julius Agbaje, on Wednesday emerged the winner of the Afriture Painting 2018 competition heldin Lagos. 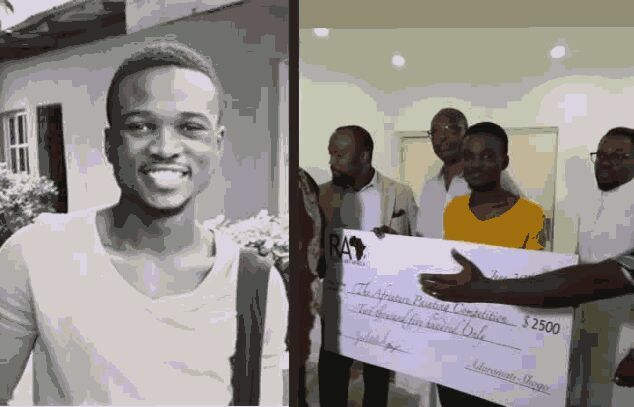 The 26-year-old Corps member who was doing his primary assignment in Silverbird Art Gallaria went home with a cheque of $2,500. The competition was held at Omenka Arts Gallery, Ikoyi, with Agbaje coming as the winner through his “Virtual Reality” workpiece, while Emmanuel Eweje and Ifeanyi Ugwoke came second and third positions respectively among eight contestants. Out of Joy the winner thanked God for the opportunity to express his talent, he said it was a dream come through for him. Agaje haspromised to make good use of the money. He plans to hold series of solo exhibition, help his father to build hisbusiness and further invest in his career.